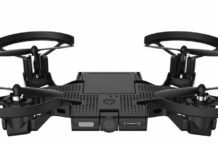 When drone enthusiasts read a ScharkSpark Drone SS41 review, see the kind of features that it comes with and the price, they can hardly believe it. 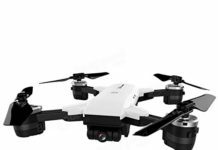 However, if you would love an intelligent drone for your collection, or even if it is your first drone, well, this is it for you. Christmas just came early for you. With two cameras – one in the front and the second one at the bottom, your field of view increases tremendously. This is a small drone and as a result, FAA registration is not needed. Just get your drone and fly it as soon as you can. And the flight experience will not disappoint you either. 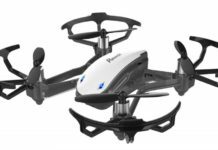 With good battery time and a reasonable charging time, well, it seems that your search for the best affordable drone stops right here. 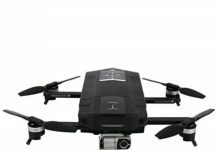 When the GDU 02 drone was released into the market, it created quite a buzz where to some extent some people said that finally, here was a DJI Mavic Air competitor. However, while it falls short of the features and things the Mavic can do, it is still a good drone by its own right. Besides, you are going to buy it for being itself and not for how close it comes to its competitors. If for nothing else, one of the main reasons why you will love the GDU 02 is that it folds into a small and compact size, making it very portable. It is also durably built, but we will look at all these and more in the upcoming sections. 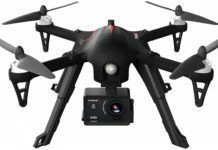 This is an advanced drone by its own right so it is only fair to expect to pay a good price for it. Not to worry though, it gives back every value for the money you spend on it. And the drones get smaller and smaller, but more effective even in the smallest of sizes. This is the conclusion that you will draw when you read this AEE Selfly II review. Nano drones are not exactly new in the market, with the name nano being used to mean drones that can fit in your palm. However, the AEE Selfly II brings a new kind of small into the market, and it is foldable too. 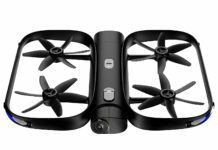 When the DJI Spark was introduced into the market a couple of years ago, it was all the rage in the market. You see, it was the size of a soda can, could fly fast, looked very stylish and could shoot stunning footage even at the top speed of 31 miles per hour. However, now comes the AEE Selfly II, much smaller, foldable and can fit in your trouser pocket with space to spare. It seems the tiny drone revolution has just begun! Sometimes you just need a pair of goggles that can help you catch a fast flight, and see every color in detail. As you will see in this Fat Shark HDO FPV Goggles review, this is a nice set by all standards, even better than most in the market. It brings you such vivid color, contrast, and detail all the time. Even when you are using this set in changing light conditions; it will still bring your live video transmission in great clarity. When these goggles were released to the market, it was said that they were the first one to use OLED display technology. Called Organic Light Emitting Diode, it is a technology where a super thin film is used between two conductors. The result of this is incredibly sharper images and videos even in low light conditions. We cannot be sure that other goggles sets have not been produced on this technology, but Fat Shark HDO does seem to be super good and it was the first in the world. 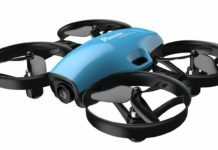 When we say that the Potensic A30W is a nano quadcopter drone, what we mean is that it is small enough to fit in the palm of your hand. These small drones have become quite the trend nowadays. They have many features, they are flashy and some are even racers. 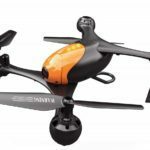 In this Potensic A30W review, we will see all the features that make it a must-have for any drone enthusiast. 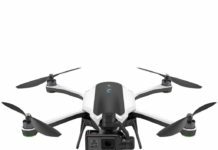 As you will see from videos and images of the A30W drone online, it is quite a good looker, coming in black and blue color combination. Some of the other features that we will look at in bigger detail later include first person view (FPV) mode for live video transmission, gravity induction mode, one key start and many others.